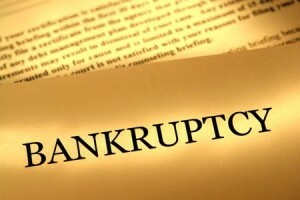 Bankruptcy does not have to mean the end of the game. When you and your friends played “Monopoly,” declaring bankruptcy meant financial failure so intense that recovery was difficult or impossible. Some moneylenders and debt-buyers like to perpetuate that idea in the real world, to keep honest American families form declaring bankruptcy to eliminate debt or get more time for repayment. They are partially right. Those who fail to take advantage of their fresh financial start and fall back into old fiscal habits may very well be counting the months until they can file bankruptcy again. But for others, bankruptcy can be almost literally a once-in-a-lifetime opportunity to wipe the slate clean and go back to the starting line. Stanley Burrell, popularly known as MC Hammer, filed bankruptcy in 1996 after years of chronic overspending. He is now a pastor in California living a more austere and happier lifestyle. Burt Reynolds also declared bankruptcy in 1996, following a messy divorce from Loni Anderson and a failed business venture, but he recovered over time and currently has a net worth of approximately $25 million. Stan Lieber, better known as Stan Lee, lost a great deal of money in the dot-com bust and filed Chapter 11 bankruptcy, but he started a new company and rebuilt his public image. Henry Ford had two failed businesses, had filed bankruptcy twice, and was down to his last few dollars in the third business, but he persevered and quite literally struck black gold with the Model T in 1908. Abraham Lincoln filed bankruptcy in 1833, after a store he opened with a partner “winked out,” in Lincoln’s words. He completed the 19th-centruy version on his bankruptcy plan, and went on to achieve some degree of political success. Bankruptcy does not have to be the end. For a free consultation with a Brevard County Chapter 7 attorney, contact our office. An attorney is available by appointment to discuss your case. This entry was posted in Bankruptcy, Chapter 13, Chapter 7, Debt and tagged bankruptcy, debt, fresh start on February 10, 2014 by Michael Faro.